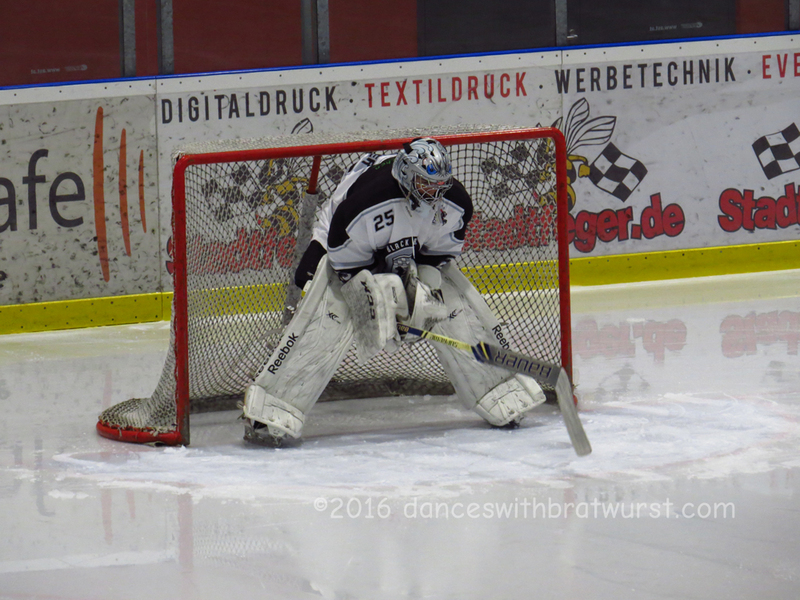 Freising has a hockey club, the Black Bears. I don’t completely understand how the league works, but the teams play against clubs from other towns (State Center had a baseball team like this, decades ago…). We didn’t really check them out until the end of the season; this photo was taken in the recently-christened Weihenstephan Arena in a victory over Moosburg.